Continuing my gold-themed week...today I wanted to share this oh-so-easy Gold Confetti Wall that I created at the top of our stairs. I was inspired by a photo I saw on the blog of my darling friend, The Nester. She had created a similar wall in her previous house and I loved it! 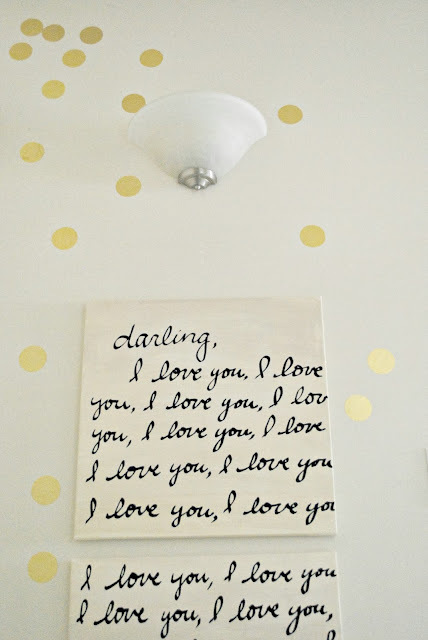 Although you can certainly use a Silhouette or Cricut to do this project, you don't need one. 1. All you need to do is trace your cup (or other round object) multiple times on the back of your adhesive vinyl with a pencil. 3. 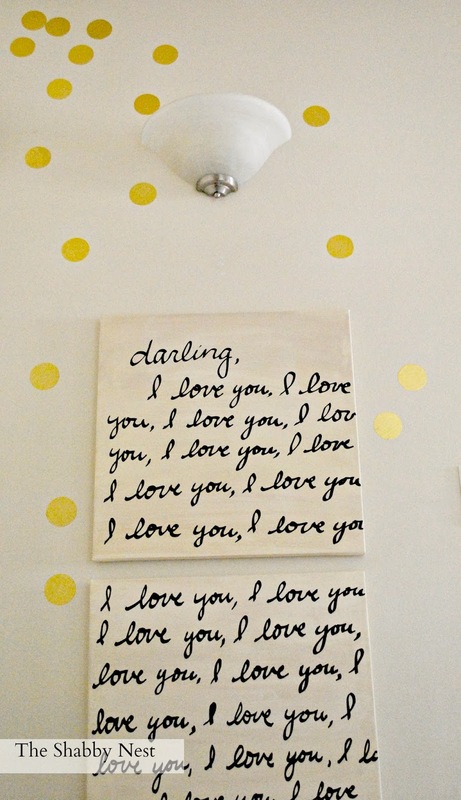 Stick them to your wall. 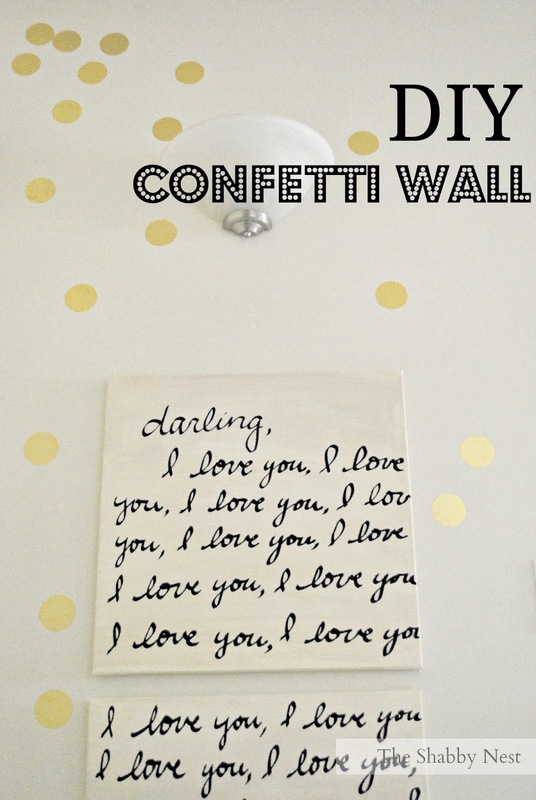 The trick to making it look like confetti - and not just polka dots - is to cluster them at one of the top corners as if they are being "sprinkled" then place them randomly on the wall as you move down to continue the "sprinkled" effect. I just love this wall. It makes me smile every time I walk up the stairs. Too bad I'm renting and can't do anything about that pesky wall sconce. Oh, and if you like the Love Letter Art Work, you can find a tutorial on that here. Beautiful wall decor project! Thanks for sharing this idea with your readers.